Bi-phased lotion with iris extract to perfect cleansing and freshen the skin. Leaves the skin free of superficial impurities (make-up, pollution, dust). For oily-combination or clogged skin, this oil absorbing lotion with Iris rhizome and soluble clay clarifies the skin leaving it feeling clean and refreshed. The bi-phased formula has oil absorbing properties and must be shaken first to combine the dissolved clay with the water-based emulsion. Following the cleansing of the skin, shake the bi-phased lotion first to mix the soluble clay with water phase then apply to a soft sponge or dampened cotton pads and wipe over the face and neck. Sothys lotions are designed to leave on and be absorbed by the skin. 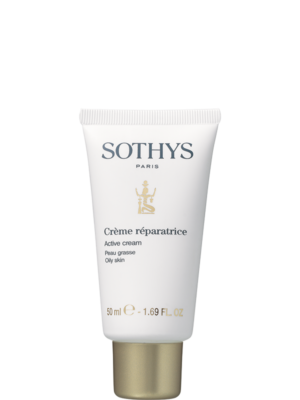 Apply appropriate Sothys treatment serum or cream over the lotion on the skin.